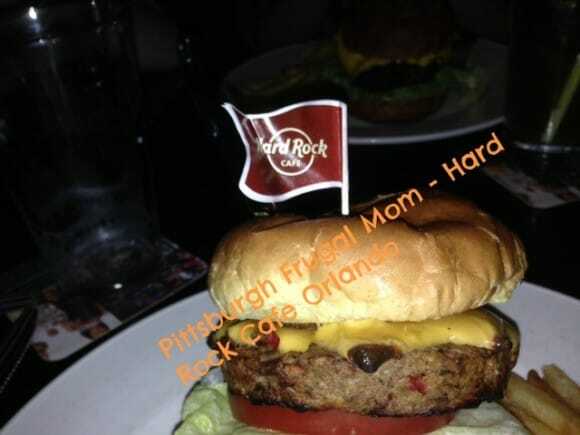 We are huge fans of Hard Rock Cafe, as my kids can eat there even with their food allergies. They offer Gluten Free, Latex-free dining but you do have to tell them you have these allergies. We are fortunate to have a Hard Rock Cafe right in Pittsburgh, but when we travel, as we were just in Niagara Falls, USA and in Orlando, we always pay a visit to dine. I love their Rewards program as there are exclusives provided and it is is free to join. Hard Rock Cafe is the perfect place to dine as a family, solo, or as a couple, because it offers something for everyone. Their meals range from gluten free to meat loaded and even vegetarian, you just have to know that you will be getting a delicious meal. Are you in LA and looking for the best place to celebrate Father’ Day? Rock it out with Dad at Hard Rock. First, make sure to enter Dad to win a rockin’ gift package. Just post a picture of your dad at the Hard Rock Cafe during Father’s Day to Instagram @HRClosAngeles with #ThisIsHardRock#MyDADRocks and he gets to be entered into the drawing to win a pair of baseball tickets and free parking for LA’s Favorite baseball team. Hard Rock will pick their winner and announce on Monday June 16 on both FB and Instagram so stay tuned if you enter. Dining has never been easier at the Hard Rock, LA because they are taking reservations for Father’s Day! This new pin is rocking the pink and it is exclusive to the Hard Rock Cafe at Universal CityWalk. This is part of the 2014 collection. Will you be picking yours up today? It is a collectors must have for the Hard Rock. I can’t believe these were not there a few months ago. I might have to swing by on my way to Clearwater!